Rent Events at 94 HUNDRED SHEA | Corporate Events | Wedding Locations, Event Spaces and Party Venues. A PRIME, CENTRAL LOCATION IN NORTH SCOTTSDALE. We’re located just 1 mile North of the L-101 and Shea Boulevard in the lively and upscale North Scottsdale area. 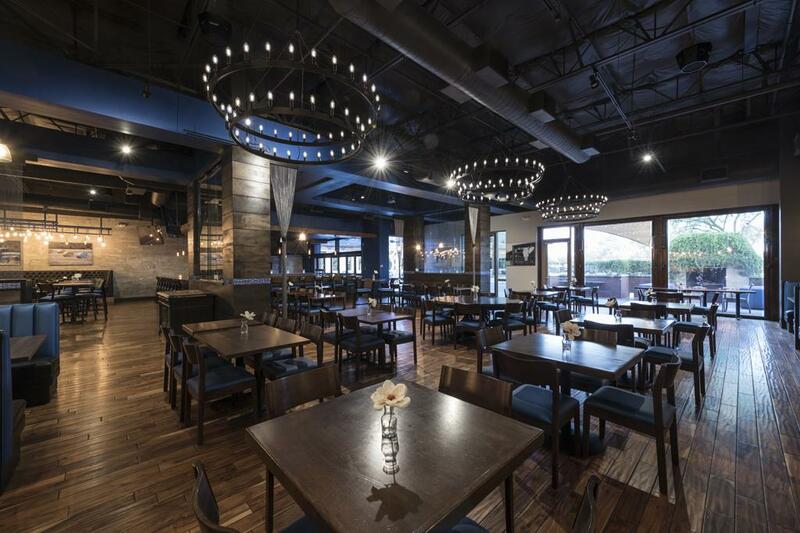 With our beautiful hardwood floors, rustic chandeliers, plenty of seating (high-top or low-top), gorgeous u-shaped bar, you will blow your guests out of the water. BRING YOUR OWN VENDORS. We want your event to be the best experience. If you have a preferred vendor for catering, drinks, DJ, etc., please feel free to use them. We have several restaurants located on-site for catering that offer discounts if you choose to use their food for your event. PLAN THE EVENT OF THE YEAR. We host weddings, corporate events, holiday parties, awards banquets, proms, non-profit fundraisers, product launches, film and photo shoots, corporate meeting and networking receptions in addition to engagements, birthdays, anniversaries, graduation, Bar and Bat Mitzvahs.